Edge of town opportunity with lots of elbow room. This home is situated on a half acre offering rural views but still convenient to city amenities. Farmhouse style home with main floor bedroom, full bath and laundry. Large family room addition connecting home and garage provides great living space and includes a free standing wood stove, a second gas furnace and plumbing in place for another bathroom. Park everything inside with the four car attached garage. 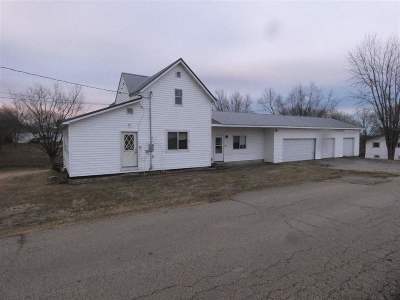 This foreclosure is ready for you to freshen up and make it your own. Call today for a closer look.